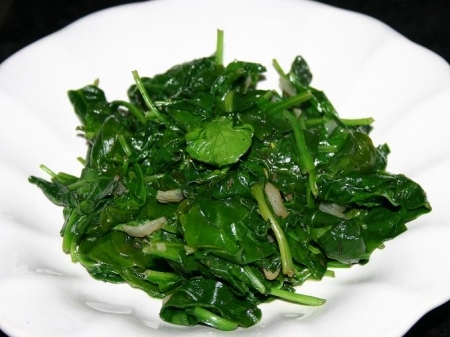 Sautéed spinach is wonderful and it can be made it many different ways. The ingredient amounts will make a healthy serving for two or a smaller portion for 4 people. It is truly amazing how quickly spinach reduces in size once cooked. Keep that in mind if entertaining a large group. Lemon Infused Extra Virgin Olive Oil is being used and can be purchased on-line. Rinse and drain spinach. Heat lemon oil in large skillet over medium high heat. Add shallots and sauté until translucent. Add spinach and Herbs de Provence to skillet and cover. Wait about 30 seconds. Remove cover, stir spinach, cover, wait 30 seconds and keep repeating until all spinach has wilted and is a vibrant green color. Once all spinach is same consistency, remove and place into a serving dish and enjoy!